As an extension to our pastoral support Miss Starkey has joined the team working on developing "well-being". She delivered an assembly to each year group about what is meant by well-being and strategies to support us in our every day life. 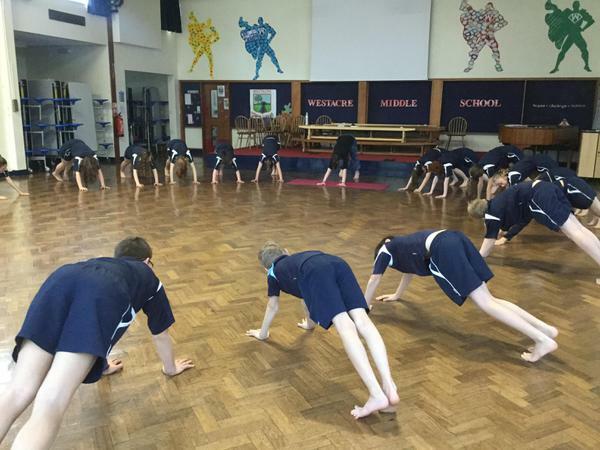 Over the last few weeks every child has had access to a yoga lesson as a start to looking at relaxation. For more details and photos about our new well-being programme please look at our PSHE page.